We are proud to share the achievement of Md. 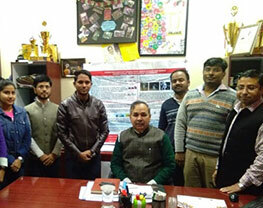 Naeem, a student from Department of Optometry, School of Medical and allied sciences, being awarded 2nd Prize in poster presentation at the annual international conference, AIIMS Optometry Explorer, 2019 held at JLN Auditorium AIIMS, New Delhi on 19th and 20th January 2019. 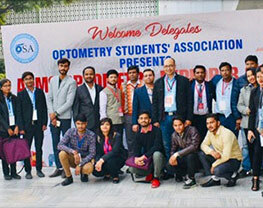 A total of 650 delegates attended the conference around the globe, in which 400 students were actively participated in different activities from 15 different optometry colleges and universities. 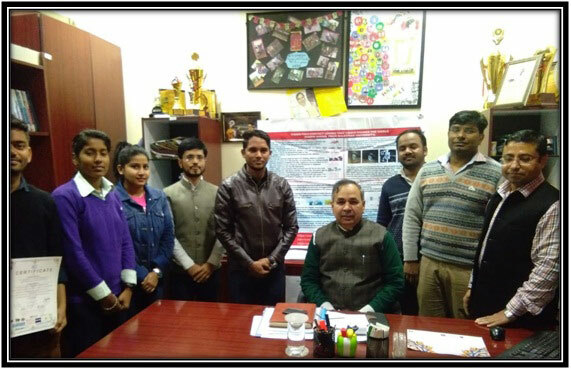 Three of the faculty members of Department of Optometry (SMAS) were invited for talks on different specialties and advancements in eye care. A total of 40 students from Galgotias University attended the conference along with the faculty.